The Del-Lords are reconvening at the new location of Eric’s recording studio Cowboy Technical Services in December for more recording and we were able to convince the folks at Beast of Bourbon to have us back for another gig. 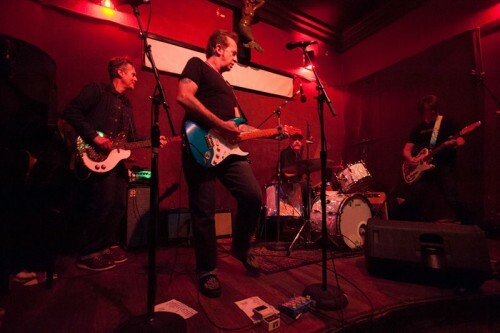 We’ll be playing Tuesday December 13th at 9pm and we hope you can join us for a night of Rock & Roll with a healthy dose of Beer, Bourbon and BBQ. We hope you can make it to Beast for this special gig. The Del-Lords at Beast of Bourbon in Brooklyn. 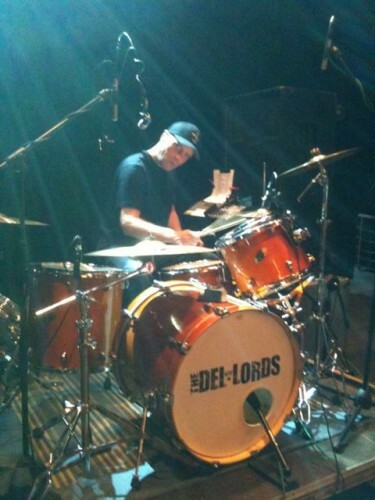 Del-Lords 2015 tour dates in Scandinavia and the NY area postponed. Well, just when we thought it was safe to go back in the water, or on a plane, or a stage, or pretty much anywhere, the powers of the Universe have decided, “Not so fast, pally”. 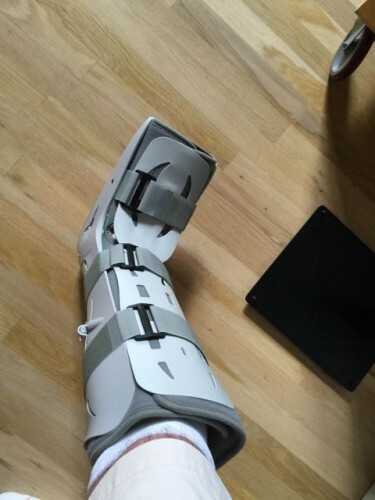 As Eric reported just a few days ago, with the photo to prove it, he had an accident at home, and slipped and broke his fibula. You might remember that photo of him in that compression apparatus, and here today we present the follow-up to the compression apparatus – a full-on foot, ankle, leg, stabilizing boot. Judging by just the look of it, i would say it is mighty uncomfortable. So, by now you can see this taxi coming like it’s coming up 6th Ave, after midnight, in the rain. Yes, it pains us all – Eric most of all – to announce that the upcoming shows, while still upcoming, are not going to happen in September. We have to cancel and reschedule everything for now, as we just do not have the necessary info at this time to say when we will be making up those dates, both Europe and NYC, and Joisey. 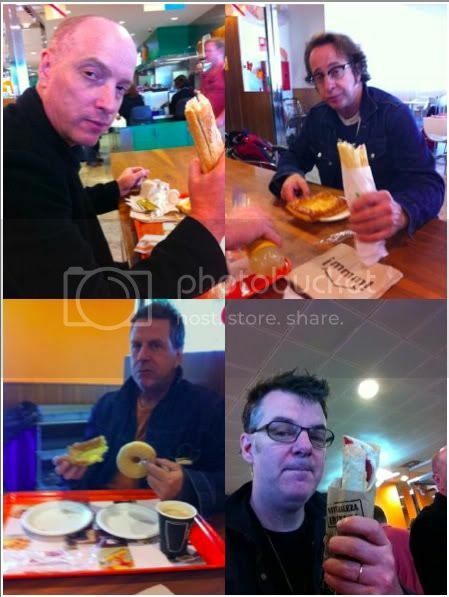 We will absolutely make good on every one of those dates, as well as starting the recording of a new record as soon as we can. Of course, just in case, and before anyone suggests this – there is not a chance in Hell of hiring a sub for Eric. Eric is completely and absolutely irreplaceable for even one minute, let alone a tour. As you know, he is one of a kind – our kind. We are not the Del-Lords without him, and that’s that. Just in case, someone wanted to suggest it. Ya know, Mick would wait all night for Keith, and we will wait as long as it takes for Eric. Live Single, tour dates in the planning stages. Head over to the Top Ten Blog for the full scoop. Help A Brother Out, Frank could use a hand. Head over to the Top Ten Blog for the latest news. 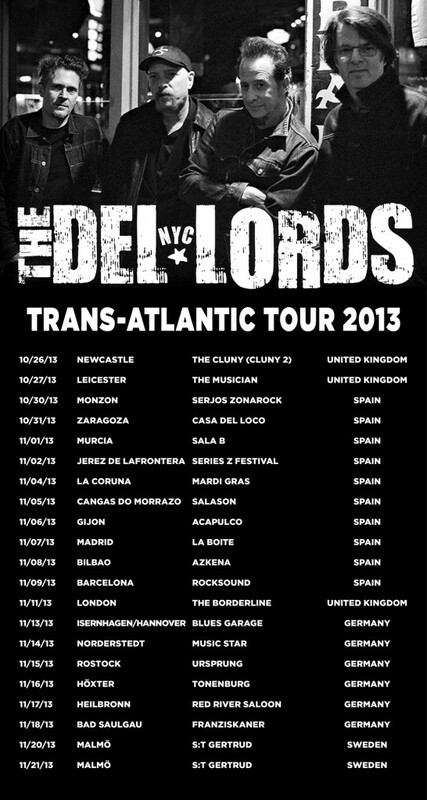 Gigs: The Del-Lords Trans-Atlantic 2013. Underway now! 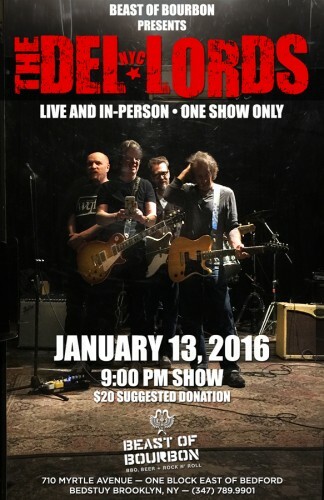 Gigs: The Del-Lords are hitting the road! Check out the Gigs Page for details. Cleveland, Grand Rapids, Chicago and St. Louis this week! Heading to Europe on October 25. 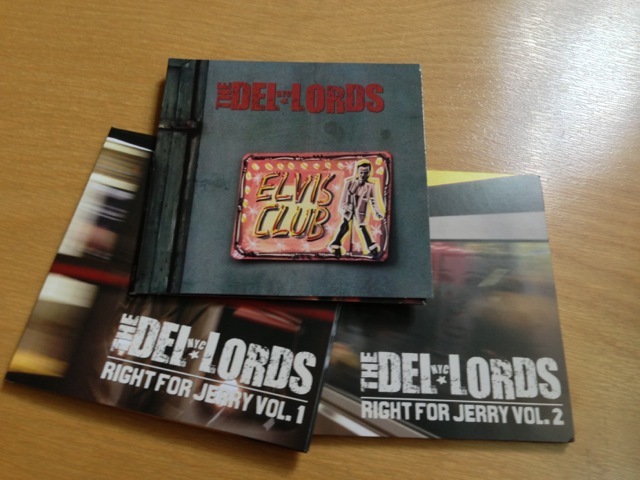 The folks at Del-Lords official are proud to announce that in addition to our first new full length in 23 years, “Elvis Club”, we also have the 2 volume set “Right For Jerry” available here only for CD’s and at the Del-Lords Bandcamp site for downloads. Read about “Right For Jerry” at the Top Ten Blog. Please keep an eye on the Gigs page. 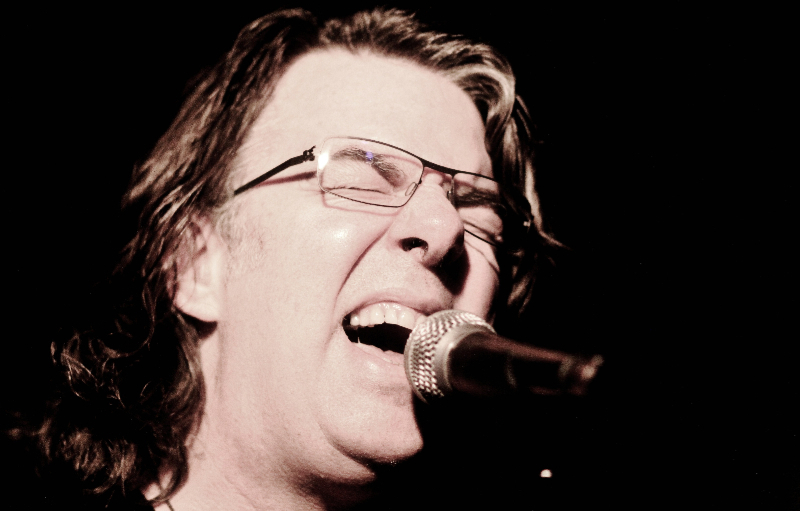 We are heading to the Americana Fest in Nashville with gigs on the way. Then to the West Coast, then some NE dates around the CBGB’s Festival and out to the midwest before heading Overseas for a month starting Oct 15. Official ‘release date’ for the record is May 14th and that day is today! If you have a record store by you there’s a good chance they’ll have the record! Official release date is here! Del-Lords “Elvis Club” CD is here and shipping now. Official ‘release date’ for the record is May 14th but we have the cd for you here now. CD pre-orders available now here on the Store Page. New Music from the Del-Lords!! And you can listen to the whole thing and get it and a pdf of all the artwork at Del-Lords/Bandcamp! “Elvis Club” somehow got scooped by iTunes and it’s out there early folks! 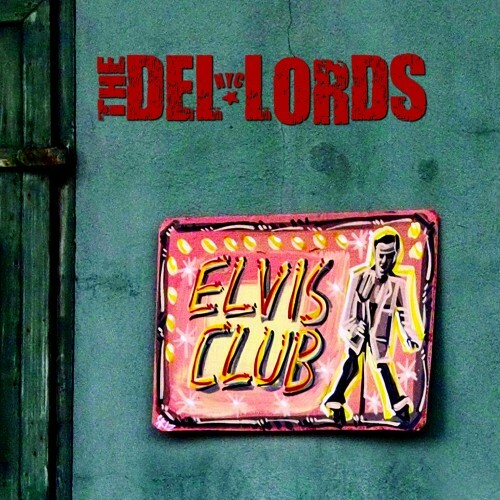 the new Del-Lords full length album “Elvis Club” to be released May 14th on GB Music. Del-Lords “Elvis Club” is officially finished. 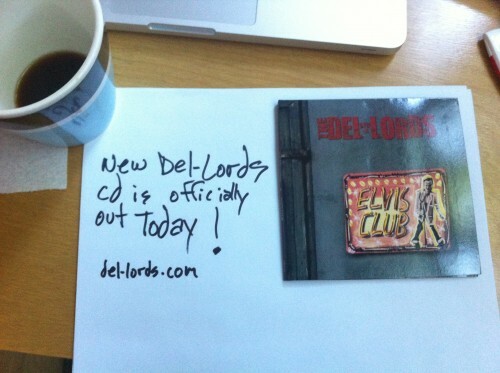 The new Del-Lords full length album “Elvis Club” will be released May 14th on GB Music. 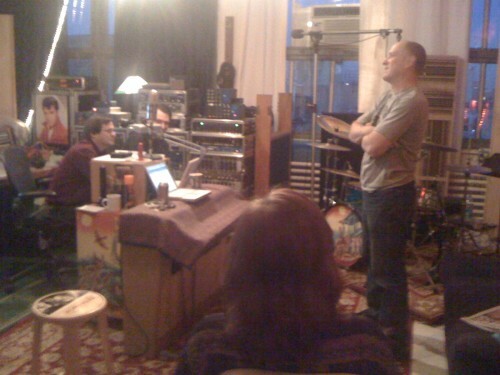 The Del-Lords have completed basic tracks for their upcoming record at Cowboy Technical Services in Williamsburg, Brooklyn. 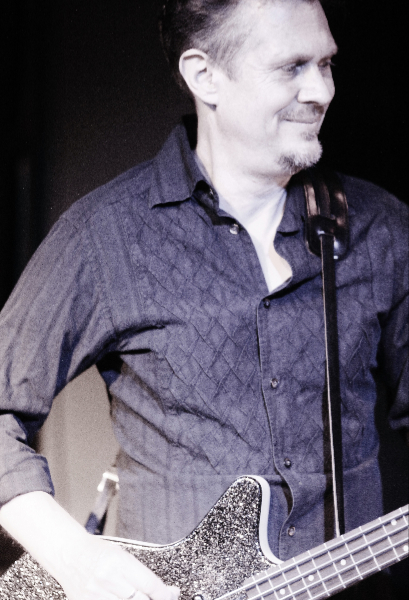 The band welcomes Michael DuClos to the fold. Read up on the Top Ten Blog. we are starting to work on the second batch of tunes for our upcoming record. We’d like to thank everyone who bought one of the limited copies of our “Under Construction EP”. As we drag ourselves into the technological future we found a spot to place the 5 songs for listening or purchase as downloads. Check out the Del-Lords at Bandcamp. 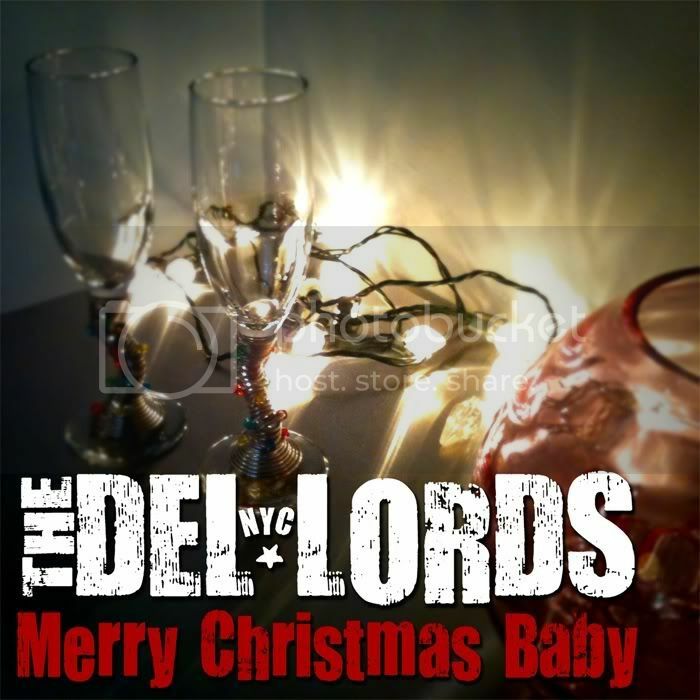 The Del-Lords had a great 2010 thanks to all of you. New recorded music and the first shows in 20 years. 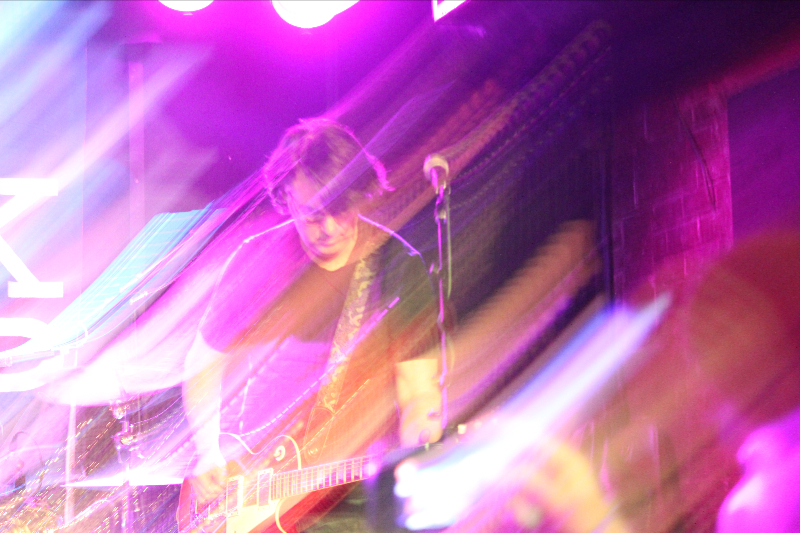 More music and shows to come in 2011. Thanks much. 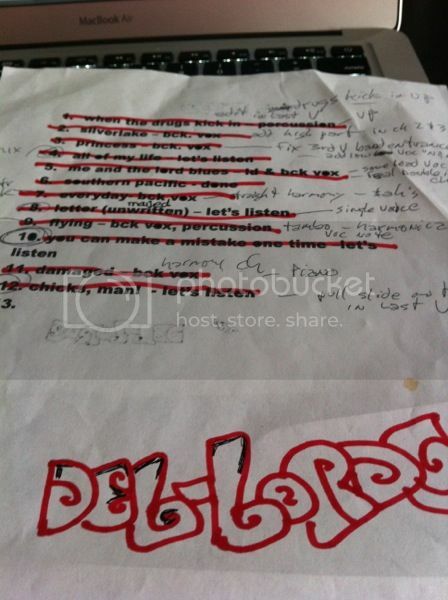 More News: New Music from the Del-Lords. The Del-Lords are pleased to announce Under Construction. 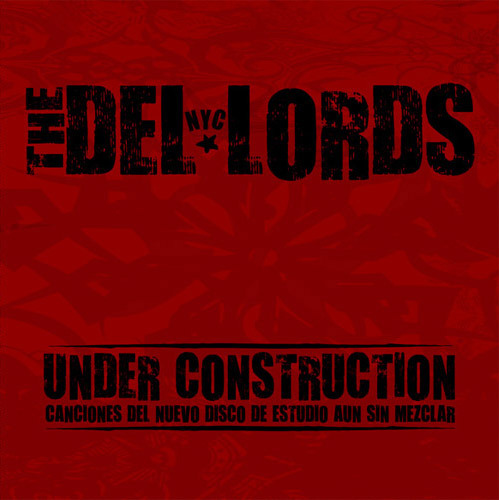 You can listen to the whole limited edition EP of rough mixes from the first new Del-Lords recordings in 20 years on the Music page. Available here exclusively. We have a limited quantity of T-shirts from the Spain Tour. They will be available on the music page starting March 22. Below is a photo of Alison Jones, bass player for Spanking Charlene and the Roscoe Trio, in the red 100% cotton Del-Lords T-shirt. 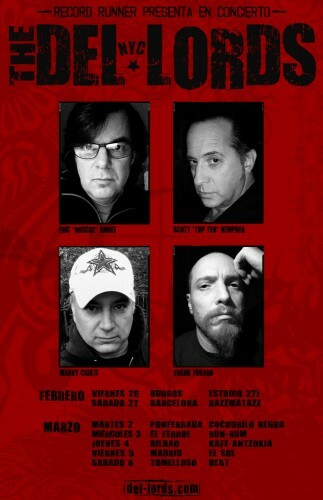 Del-Lords Spanish tour dates are in. 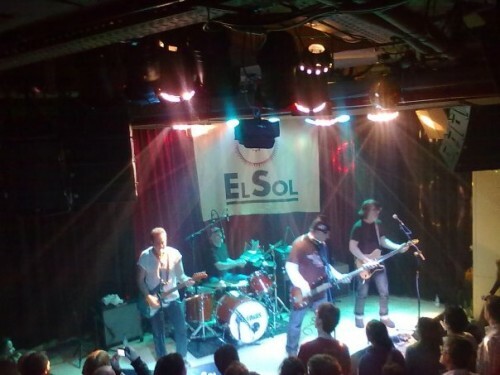 Check the Gigs page for the latest info on the 2010 Tour of Spain. 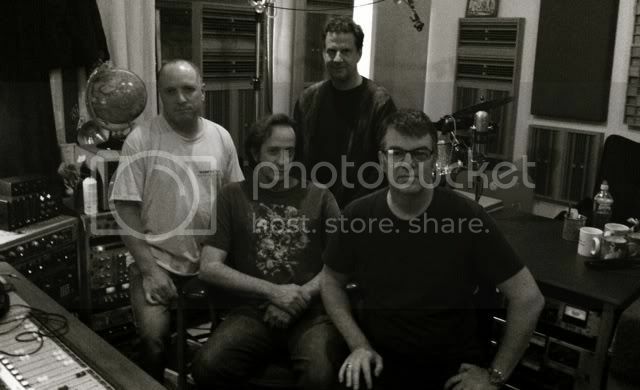 Way back when the Del-Lords invited ace musicologist Andy Shernoff up to their little practice room/clubhouse/studio on 8th Avenue to help them record a Christmas song that Scott had written. They dubbed 200 of them to cassette and stuffed them in envelopes that went to friends, fans and family pretty much in lieu of gifts for that year. 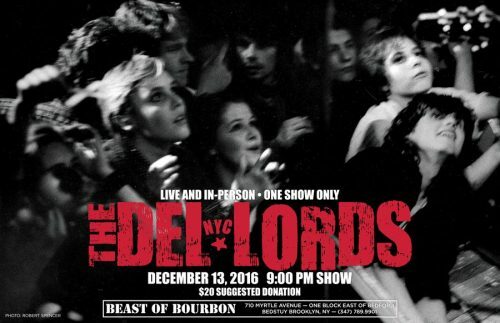 This holiday season the Del-Lords would like to pass that gift along to all of you. Welcome to the new Del-Lords Website. 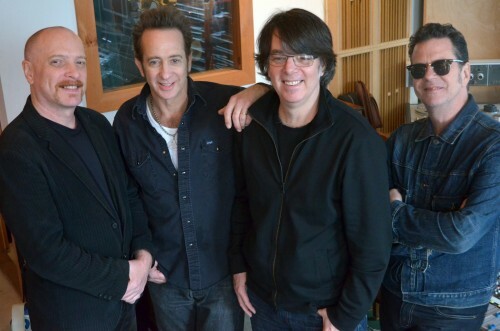 26 Years after they began in NYC The Del-Lords have begun work on new recordings. Their first 4 albums have been re-released by Collector’s Choice-American Beat with bonus tracks and expanded liner notes. 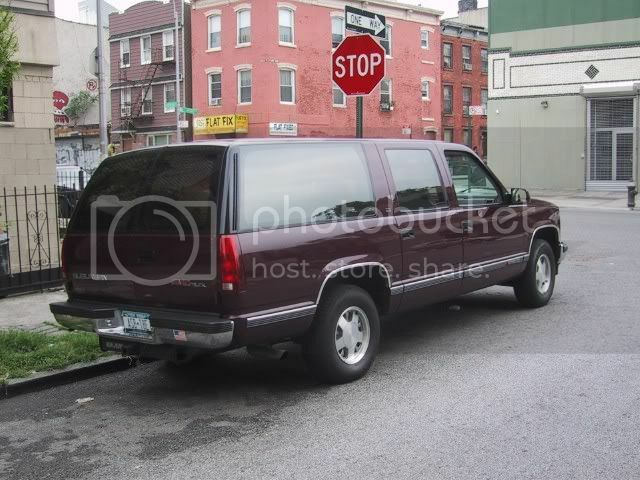 Check out the site for more detailed info and hit the Top Ten Blog for the latest. We’ll be adding more content as we get it.